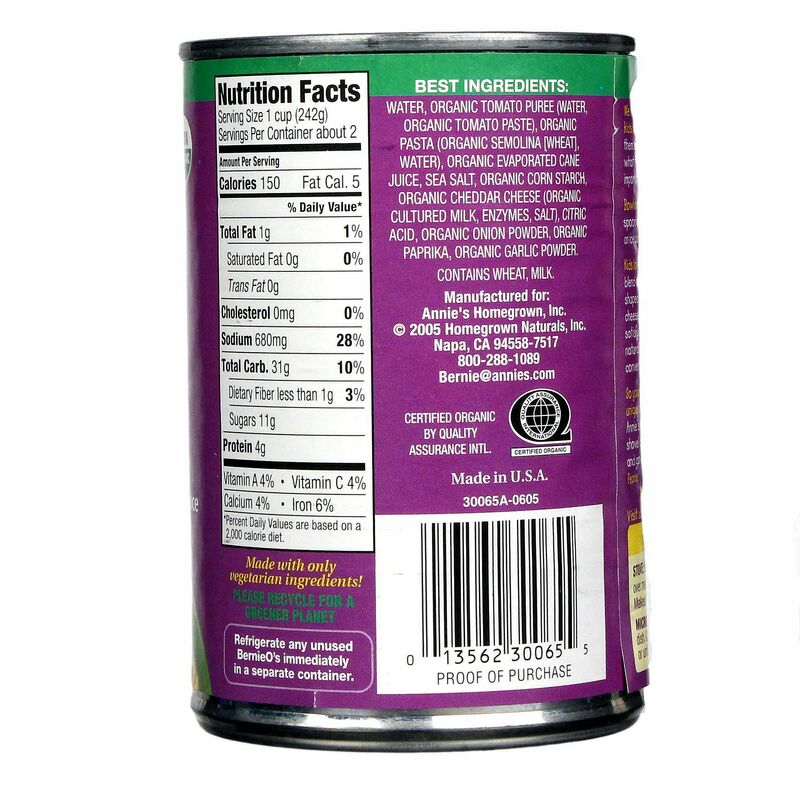 Reading the nutrition label on some of the canned pastas kids love to eat can be a chore because of all the chemicals some companies like to use. You can feel good about serving wholesome Organic BernieO's by Annie's Homegrown to the whole family. Made from natural, organic ingredients that you can actually pronounce, Organic BernieO's have fun bunny and "O" shapes everyone will love. The savory, cheesy tomato sauce makes this hearty dish quite yummy, too. 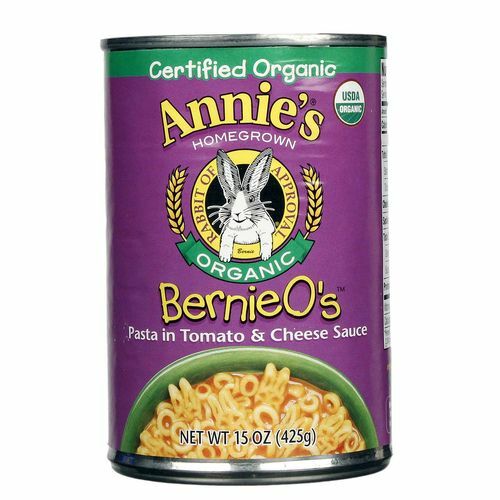 Serve up wholesome foods, not chemicals, that taste great with Organic BernieO's by Annie's Homegrown. Save big when you order yours from eVitamins today! 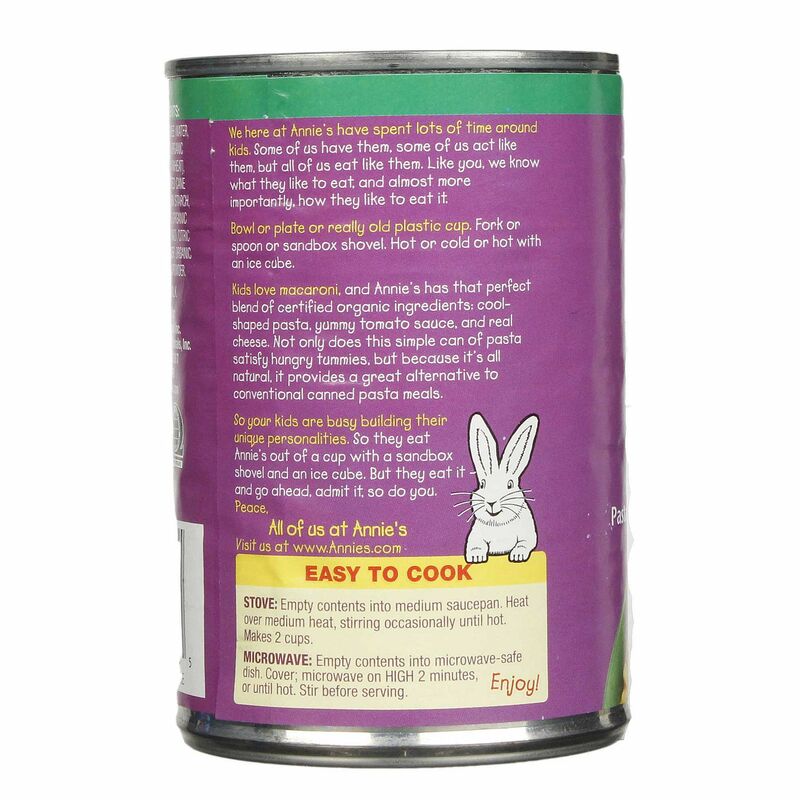 Warnings: Contains milk and wheat ingredients. Ingredients, nutrition facts and allergen statements can change. Always refer to the actual package for the most complete and accurate information. Notes: Suitable for vegetarians. Contains no animal rennets. Stove: Empty contents of can into medium saucepan. Heat over medium heat, stirring occasionally until hot. Makes two cups. Microwave: Empty contents of can into microwave-safe dish. Cover and microwave on high for two minutes or until hot. Stir before serving.